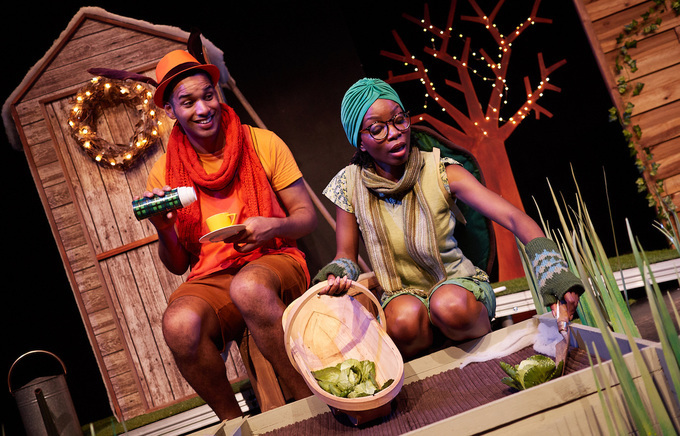 A delightful adaptation of Aesop's fable about opposites, time and friendship for children aged 3+ and their families. But who's the fastest; who's the best? Who will finally win the race? Younger, fitter, faster Hare - tearing around, unable to wait - or slow and steady Tortoise - taking the time to look at the stars? 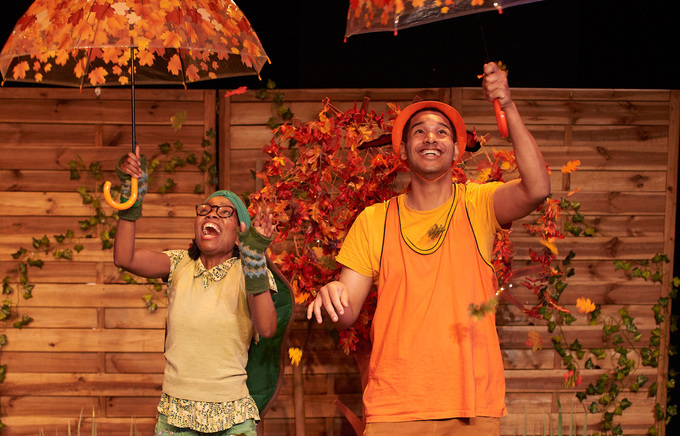 Find out in this funny, tender, award-winning adaptation of the well-loved story as we journey through the seasons from bud-bursting spring to snow-falling winter in a production brimming with music, movement & colour. 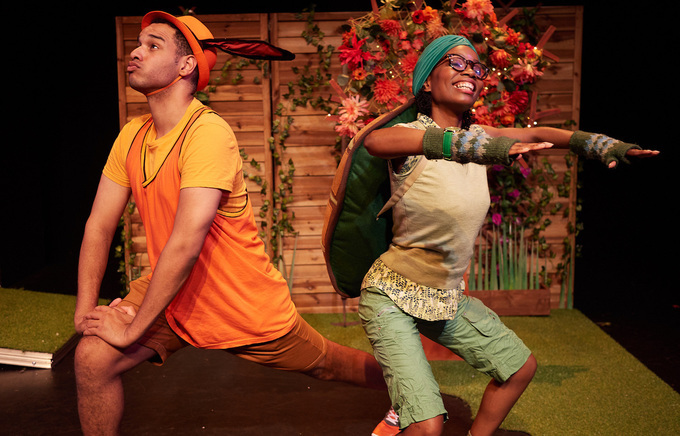 Hare & Tortoise are swiftly (and slowly) making their way out and about on tour. Take a peak at our video trailer! Ebony trained at The Liverpool Institute for Performing Arts. Radio credits: Stranger Faces, Reality Checks, Many Happy Returns (All for BBC Radio 4). 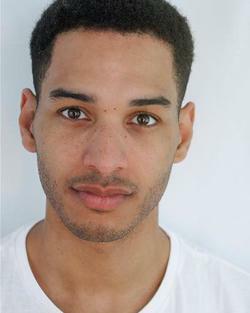 Stefan is an actor and writer from and working in London. Stefan’s favourite credits include Promiseland (RAaW Theatre), Earthquakes In London (CTW) Stefan has written and starred in the web series ‘The Start Up”. 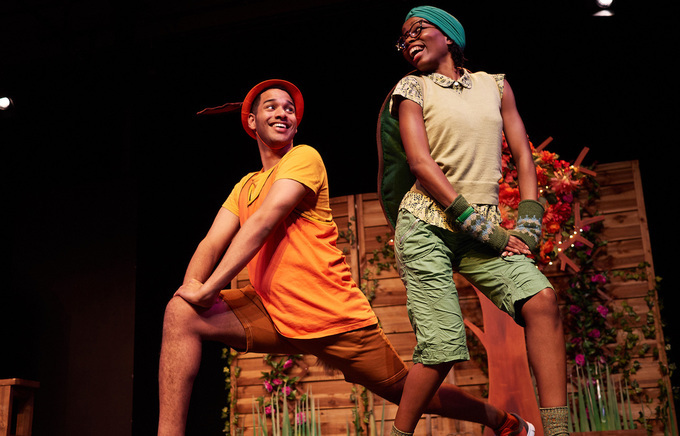 Stefan also previously played the Town Mouse in Pied Piper’s 2016 production of ‘Town Mouse And Country Mouse” which toured in England and Singapore. 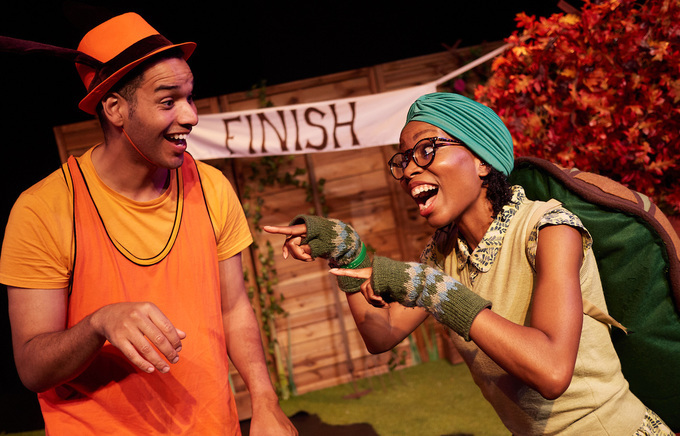 Stefan is super excited to be touring with Pied Piper Theatre Company and performing in some wonderful venues. 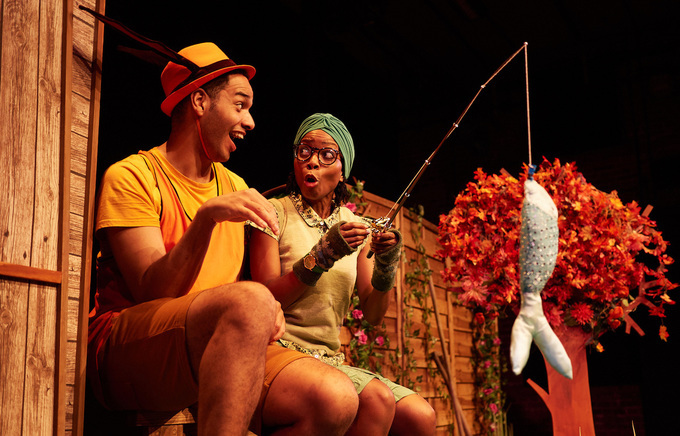 Tina Williams is the Artistic Director of Pied Piper Theatre Company, which she set up in 1984 having trained as both an actor and a teacher. 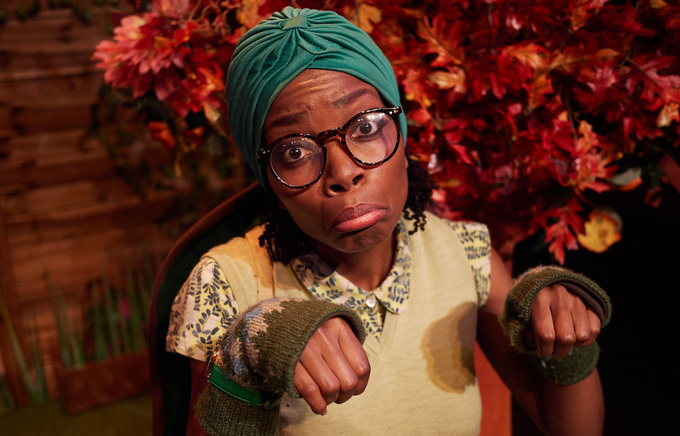 Tina has written, adapted, directed and produced over twenty five plays for the company including a large scale national tour of Anne Fine's "The Book of the Banshee", a community tour of "A Little Princess" involving eight actors and eight young people and her recent new plays "The Big ENORMOUS Present" and "Robin's Winter Adventure". In 1994 Tina set up the Education Department at the Yvonne Arnaud Theatre Guildford, which ran until 2008. 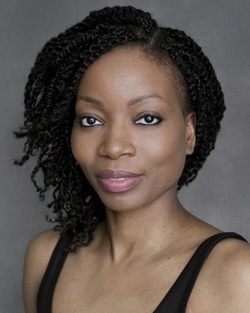 As well as directing several co-productions with the Yvonne Arnaud she wrote and directed ‘Flash! Bang! Rabbit! for the youth theatre as a creative and cultural exchange with the Sherman Theatre in Cardiff. 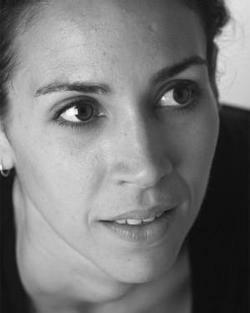 Tina has been engaged as Artistic Director for several co-productions throughout the UK and internationally in Singapore. She also directed several seasons at The Fortune Theatre in London’s West End. 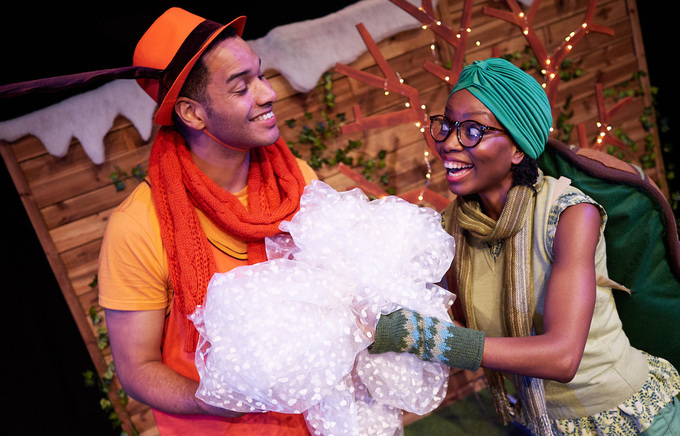 In 2016 Tina directed ‘Snowflakes’ for Oxford Playhouse and in 2017 her production of ‘Burglar Bill’ played in Geneva and will be at The Lyric Theatre in Hammersmith for the October half term. Originally from Manchester, Brendan trained as an actor and worked for ten years in schools, fringe, Rep and commercial theatre. From 1982 to 1985 he was Head of Theatre-in-Education at the Belgrade Theatre, Coventry and later writer-in-residence at the Crucible Theatre, Sheffield. Since 1990 he’s divided his time between writing, directing and teaching - principally at Drama Studio London. In 2002/3 he was the Visiting Gulbenkian Fellow in the Department of Palliative Care at King’s College Hospital and, from 2003 to 2008, Artistic Director of Oxfordshire Theatre Company. His plays are regularly produced throughout the UK and abroad and have won both Brian Way and Writers’ Guild of Great Britain Awards. Like the good northerner he is, he lives in Brighton. For more details visit www.brendanmurray.co.uk. 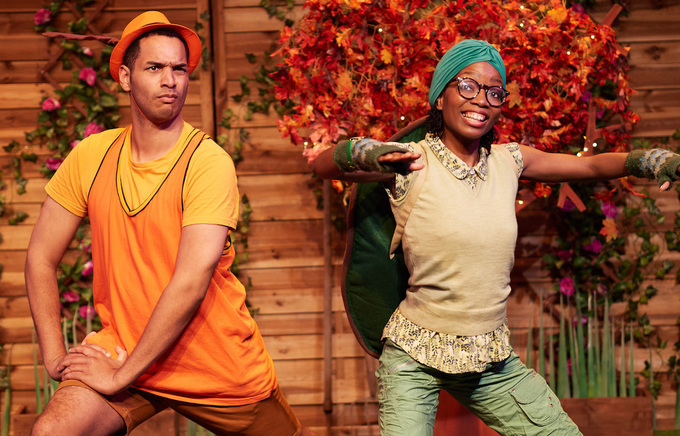 This is Julian's fifth show for Pied Piper Theatre Company. 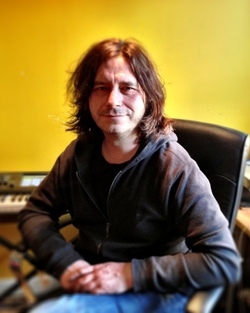 He has composed music for lots of theatre shows for children and young people, including Charlie and Lola's Best Bestest Play, Charlie and Lola's Extremely New Play and Gorilla (Polka Theatre, directed by Roman Stefanski), Up and Down (GaGa Theatre Company), The Paper Washi Wish and Little Sunshine, Little Rainfall (A Thousand Cranes Theatre), and A Christmas Carol (Lakeside Arts, Nottingham). 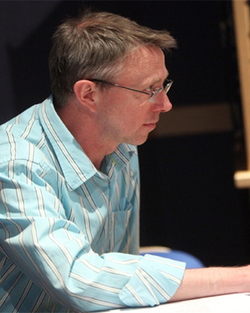 He has written several musicals for young people including Beauty and the Beast, Red Riding Hood and Flat Stanley (with Mike Kenny, Engine House Theatre) and Run! A Sports Day Musical (with Lisa Evans, Polka Theatre). Movement Direction Credits include: It Is So Ordered (The Pleasance); Bunny (White Bear); Wish List (Royal Exchange & Royal Court); Redefining Juliet (Barbican); See Bob Run (Bread & Roses); Sizwe Banzi is Dead (Young Vic and UK Tour); Love is Easy (music video; McFly); A Midsummer Night’s Dream (Custom/Practice); The Kitchen (Fourth Monkey); Faith, Hope & Charity (Southwark Playhouse); Emma Thompson Presents: Fair Trade (Shatterbox - Latitude, Rich Mix). Direction Credits include: Jon Udry Punches Gravity in the Face (Jon Udry); Life on Wheels (Bella Kinetica); Rapunzel (Fourth Monkey). Angela teaches at RADA and Fourth Monkey. 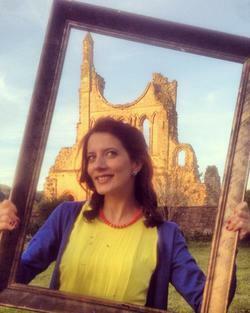 Catherine trained in Theatre Design at Nottingham Trent University. 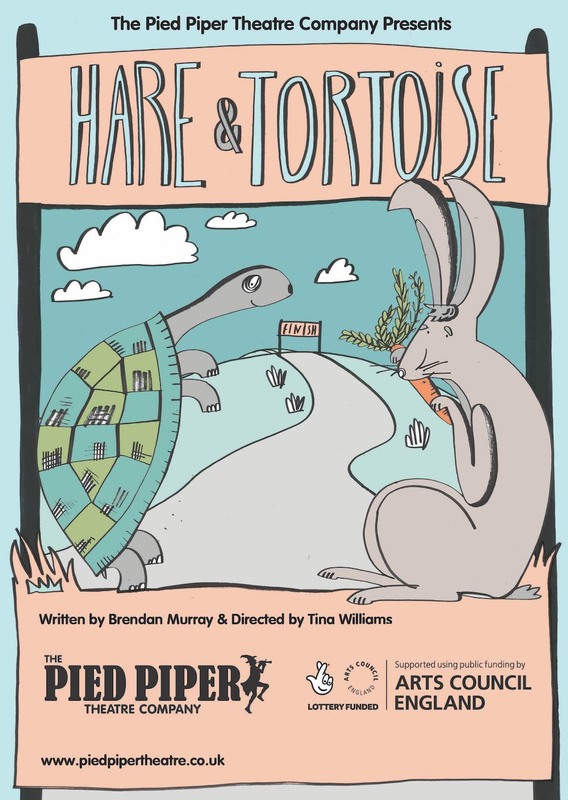 Current design work includes: Princess and Pea (tutti Frutti), Wind In The Willows (York Theatre Royal), Hare & Tortoise (Pied Piper theatre Company). Theatre production designs include: Burglar Bill, Robin’s Winter Adventure (Pied Piper theatre Company), The Fever Chart (Pilot Theatre), The Diver (Soho Theatre and Setagaya Public Theatre, Tokyo), Fly in the Ointment, Cover her Feet (Stephen Joseph Theatre), King Arthur, As You Like It, The Crucible (costume design), Wind In The Willows, Coram Boy, 1984, Keys to the Kingdom, Bouncers, September in the Rain, The Trial, The Hunchback of Notre Dame(York Theatre Royal), Rapunzel, Hare and Tortoise, The Girl who Lost her Smile (Tutti Frutti), The Feathered Ogre, Jack and the Beanstalk, Madame Butterfly (English Touring Opera Education). Film work includes: The Knife that Killed Me. Catherine works extensively with young people including youth theatre, community projects and working as an artist in schools. 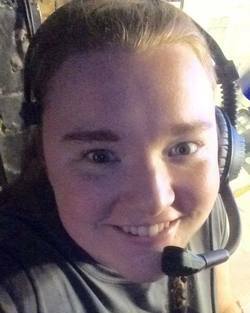 Micaëla Corcoran works as a freelance Stage Manager both in the UK and abroad. 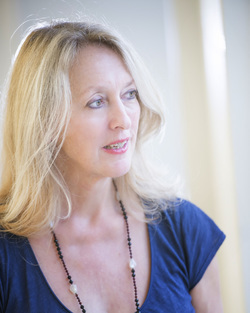 She has worked on a wide range of productions, including musicals, operas, promenade performances, immersive theatre, TIE, and various types of tours. Within her experience, she has worked with a wide range of casts from professional actors and opera singers, students, children, elderly choirs, teenagers, and local adult volunteers. Previous credits as Stage Manager include Bloomsbury Songs for Bloomsbury Festival, GIRLS for HighTide Festival and Talawa Theatre, Finding Mr Paramour for Theatre of Europe and Kinoteater (Estonia), Our Street Our Stage for Assemble Fest, 139 Copeland Road for Abby Normal Theatre Company, L’incoronazione di Poppea, Albert Herring, and La Périchole for Opéra de Baugé (France), Spamalot and Oliver! for Bournemouth Musical Theatre Productions. She has also worked as a Stage/Tour Manager on Playing Mathilde for Quorum-ETC in France, and as Company Manager on Dickens’ Dictionary with RCSSD. A Picture for you to Colour In! This tour is now over.